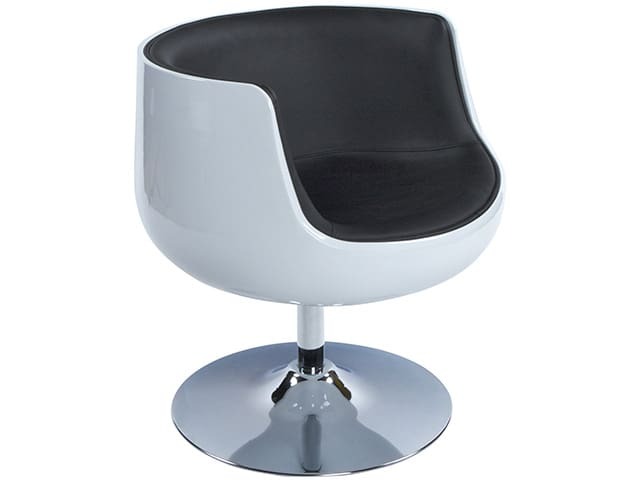 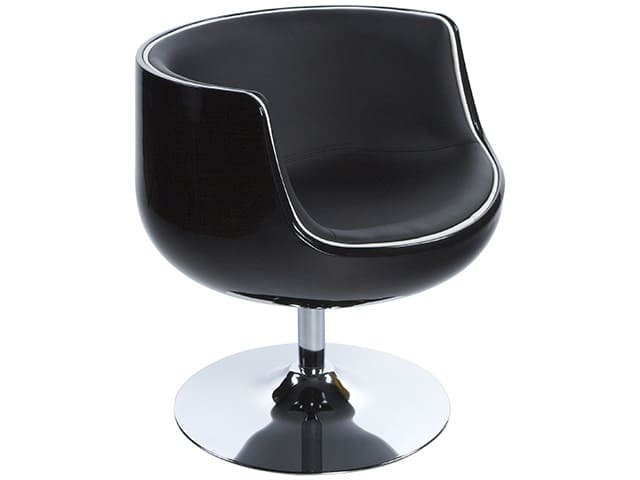 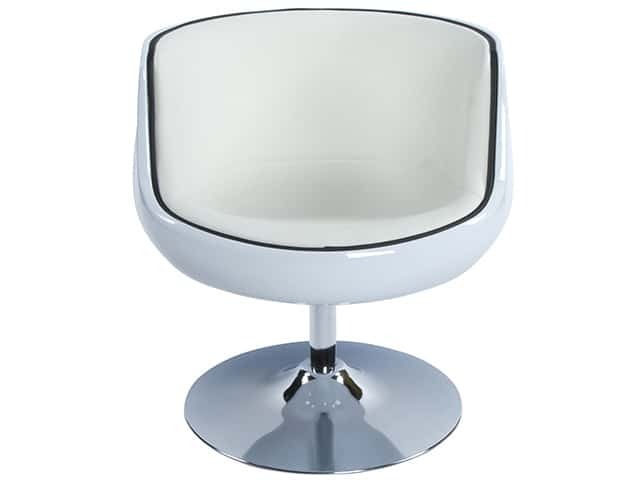 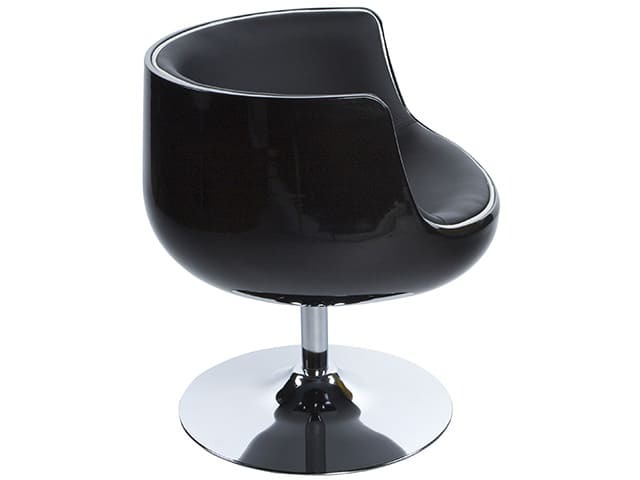 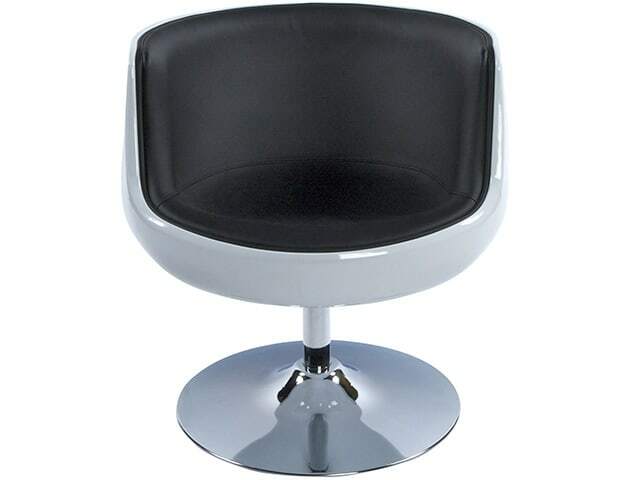 The Harlow Modern Design Swivel Armchair will modernise any room set up. 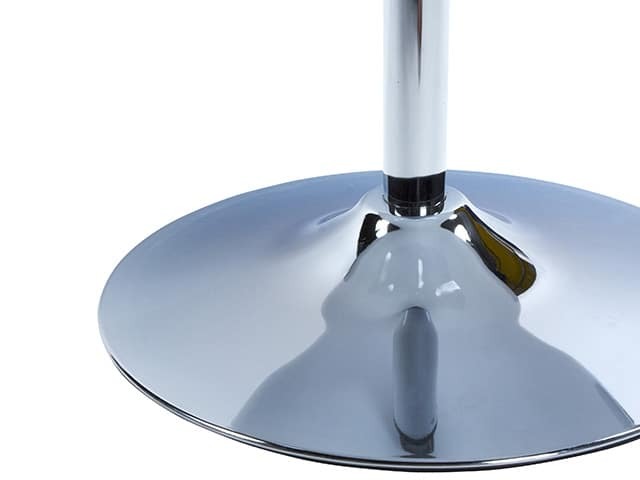 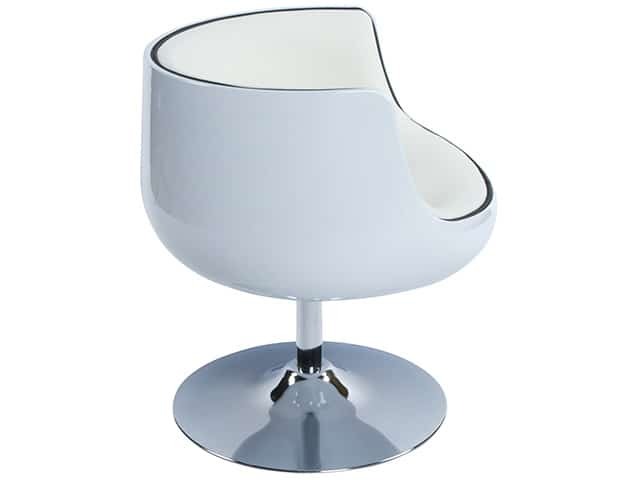 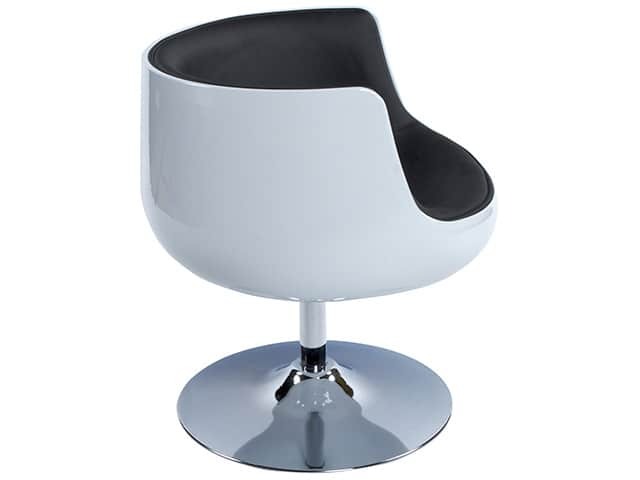 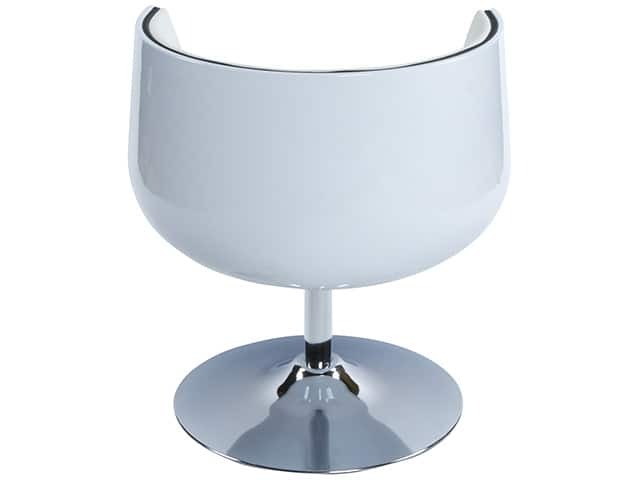 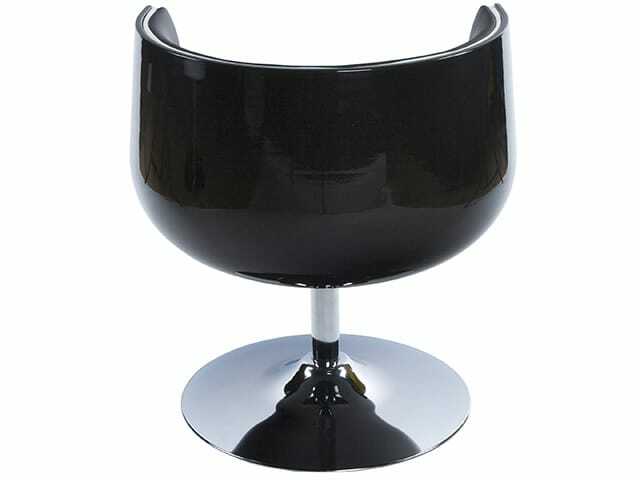 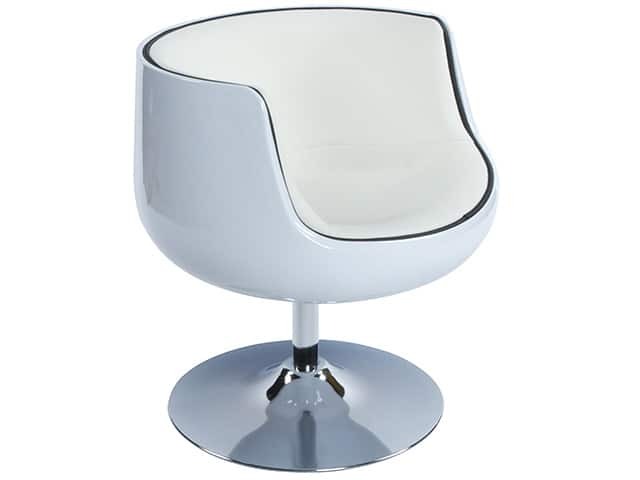 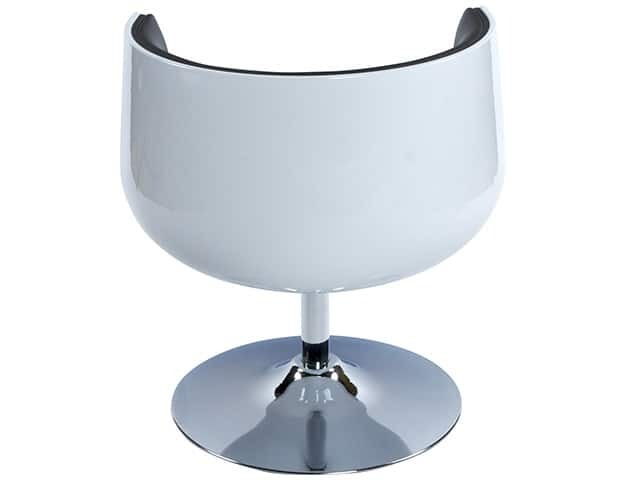 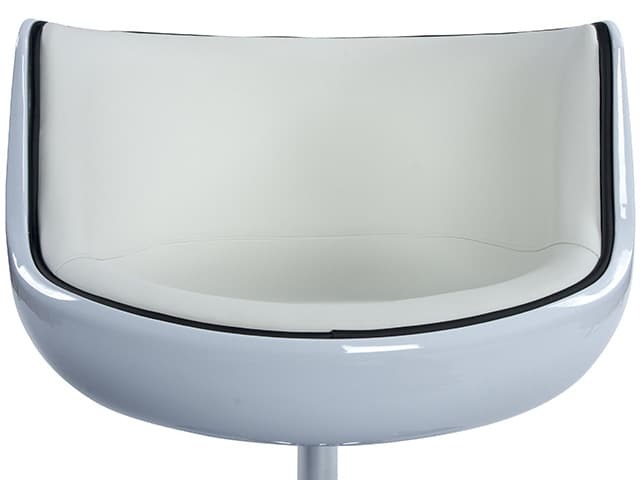 Comprises a white shell in ABS (a hard-wearing polymer) placed on a tulip-type base in chrome steel. 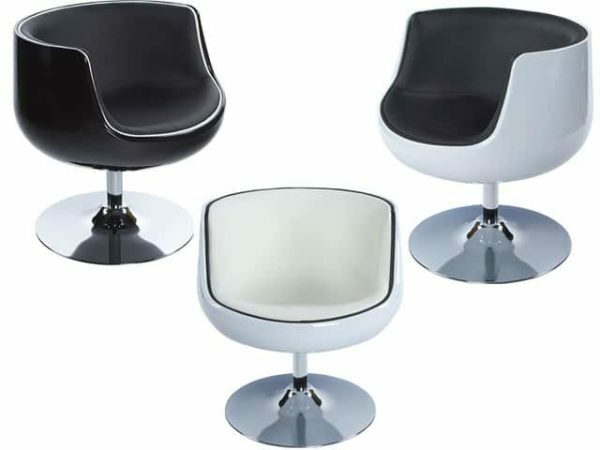 Pivots by 360 degrees. 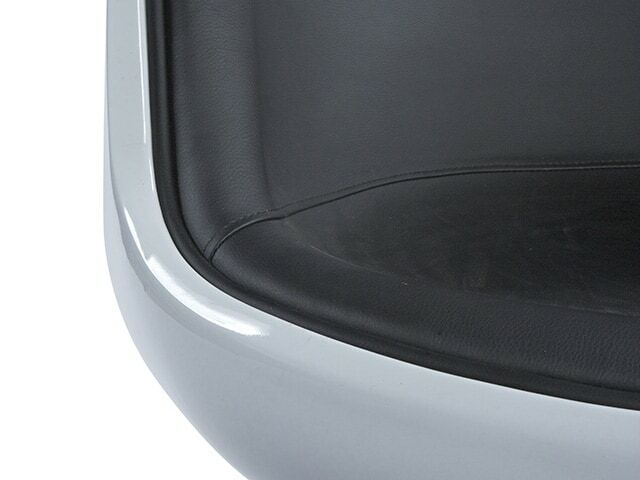 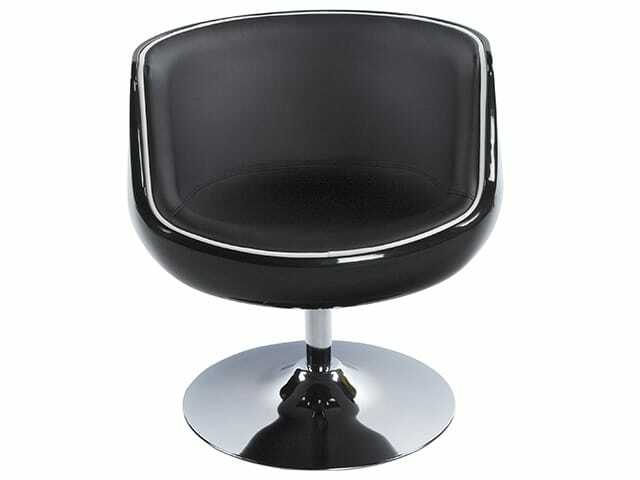 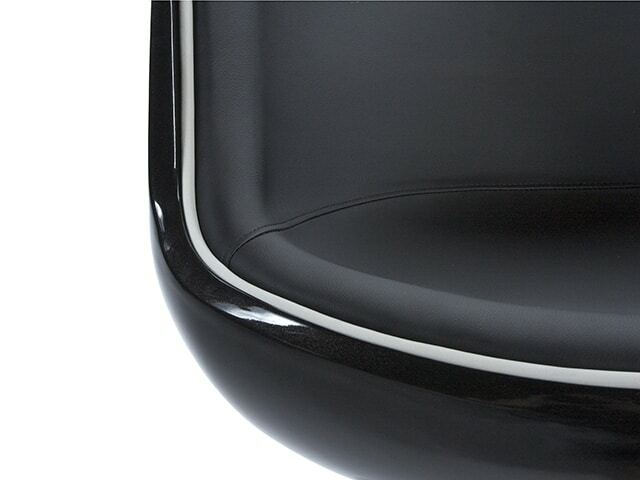 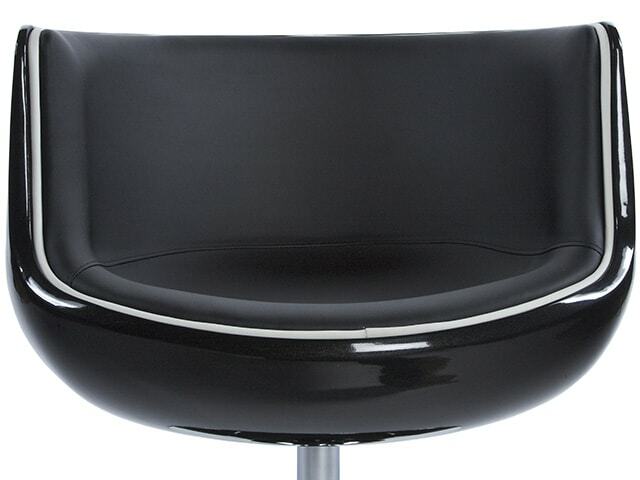 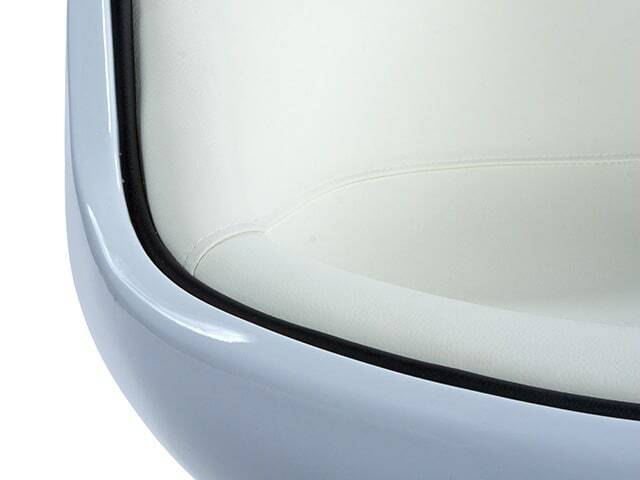 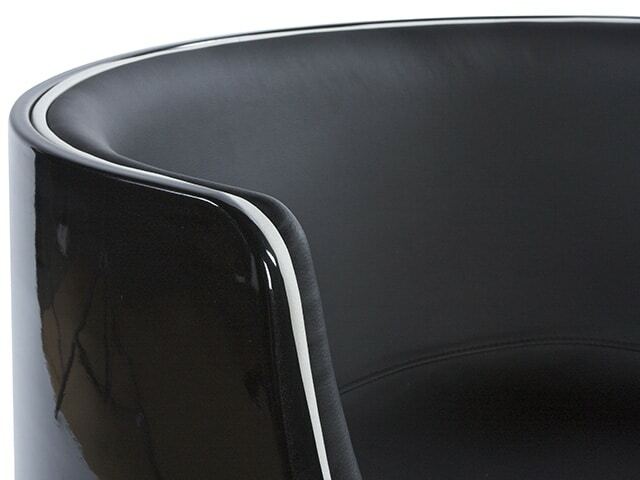 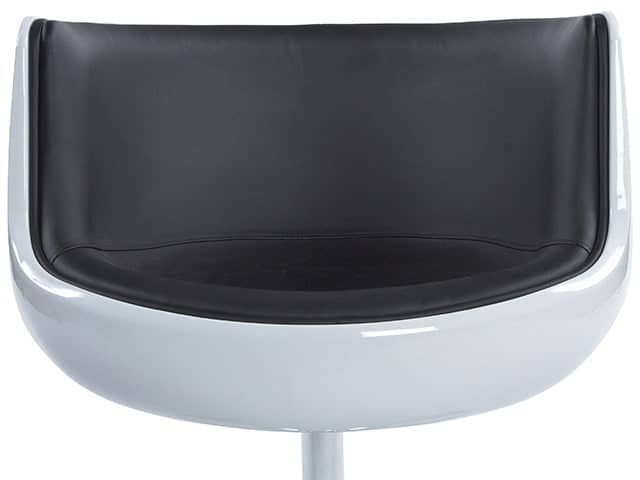 The superb quality black faux leather seat is comfortable and easy to care for. 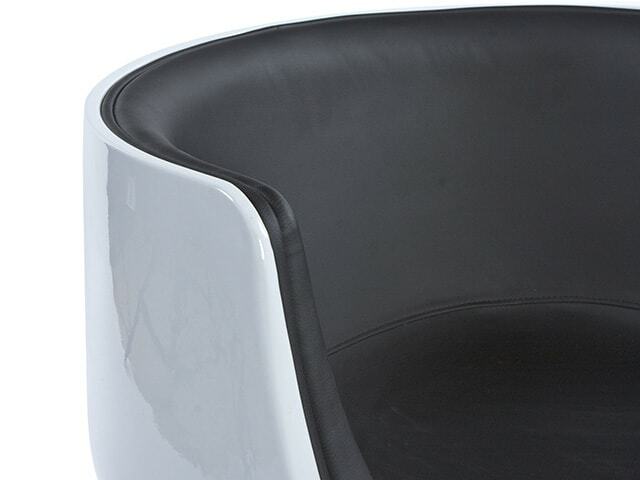 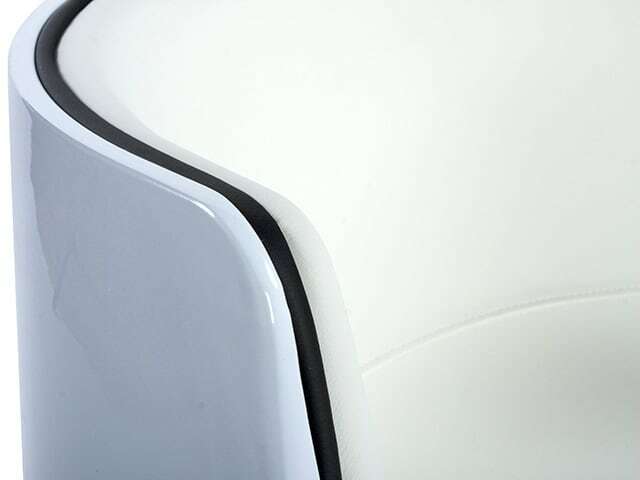 Choose from Black on Black, White on White or a White Shell with Black Seat Pad.